If your family has a little extra time this coming Thanksgiving weekend, and you are looking for a short getaway, a visit to Squaw Creek N.W.R. at Mound City Mo. would be well worth the trip. The refuge isj just 150 miles down I 29 from Blair. As of 11/13/2013 the Snow Goose count is 75,000 and will likely increase significantly in the following few weeks. The 10 mile auto tour through the refuge provides many excellent views of the wetlands and the waterfowl. Around lunchtime and early afternoon is a great time to make the tour before the birds leave the pools to feed. 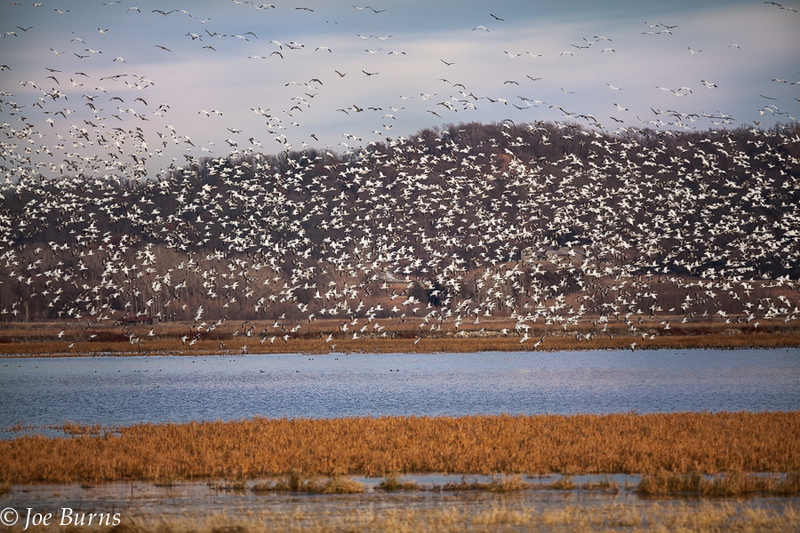 In addition to the snow geese and 200,000 ducks, the refuge is a great place to view eagles and trumpeter swans.